I am linking up once again with Doodle Bugs Teaching for her Five for Friday week in review. 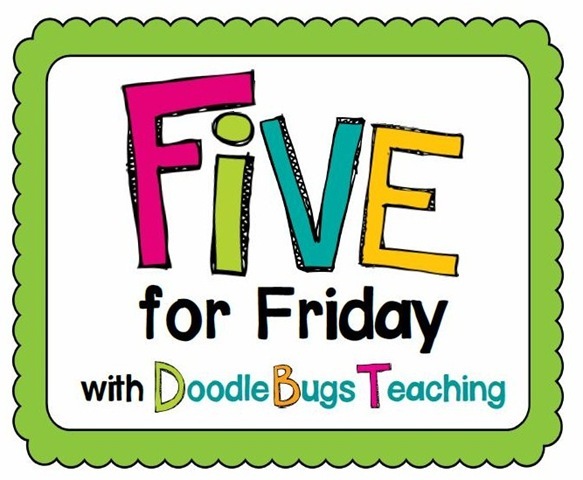 Click on the picture to head over to her blog and see who else is linking up this week. If you make it to the end of this post you will see who else I am linking up with. 1. Hooray for Spring and Easter decorations - I love unpacking holiday decorations - and things were looking a little bleak after Valentine's around our house. The Welcome Peeps is a new little item my BFF picked up for me on her Spring Break trip. ﻿﻿﻿﻿﻿﻿﻿ 2. *Gasp* - this is the noise my class made during one of our reading lessons. The reason my age! We were making predictions and talking about their schema and how they have been adding to it for 8 or 9 or 10 years. Then I said I have been developing my schema for 40 years and they gasped and a few of them whispered to each other "40". That's right kids I am 4 times as old as you! 3. New clip art - I bought new clip art this week and it makes me happy!! 4. Spring Art - I really enjoyed our winter tree/bird art so I decided to do it again but with a spring twist. We used construction paper for the background, trees and sun. We used our 3-hole punch confetti to make blossoms (although some students didn't know what a blossom should look like and there's looked like snowflakes!). 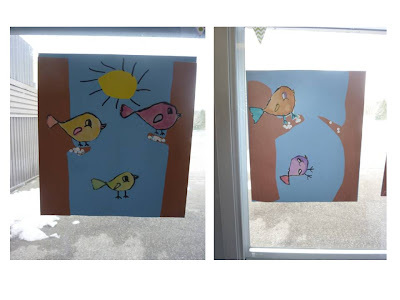 We used watercolour to paint simple birds that they drew (tear drop shaped). I like how they turned out. Look closely at the window pictures to see the snow in the background! The cute bird clip art comes from Deniece at This Little Piggy Reads. Click here to get a free copy of the banner! 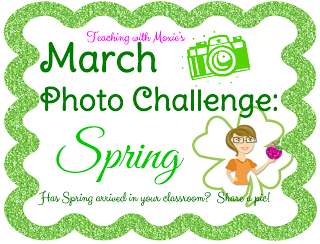 I am linking up with Diane at Teaching with Moxie for her March Photo Challenge. 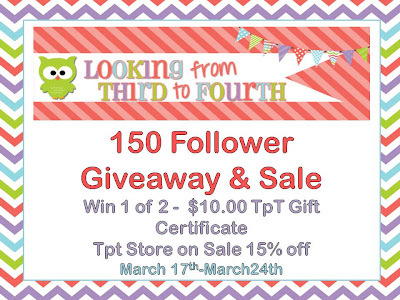 Link up with her for a chance to win a TpT gift certificate. 5. My first giveaway - I was nervous to do it but I am hosting my first giveaway! Click on the picture to enter - it is almost over. Can't wait to hear about everyone's week! 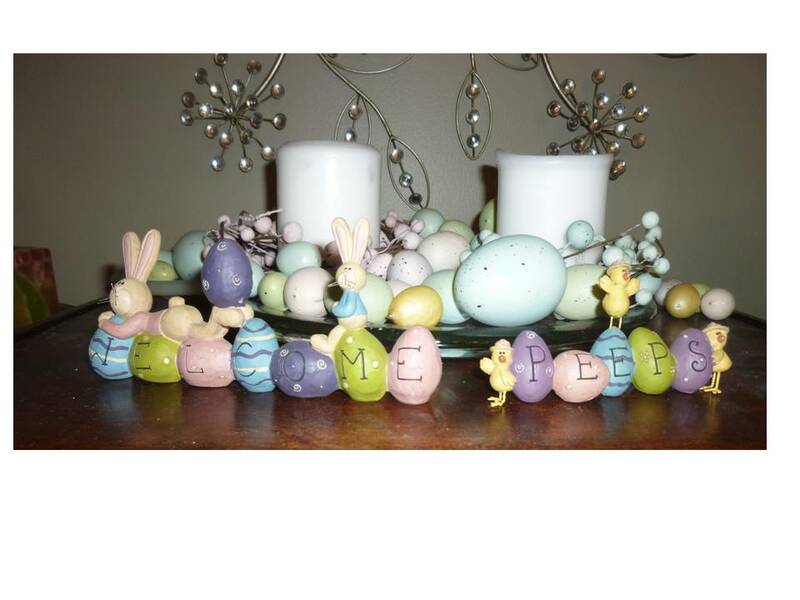 Your "Welcome Peeps" decoration is adorable. I am now trying to come up with a way to make one myself. Time to get crafty! Your blog is so cute! I am a new follower! Love the Welcome Peeps decoration! So cute! Happy Weekend! I'm your newest follower. :) Thanks for sharing. 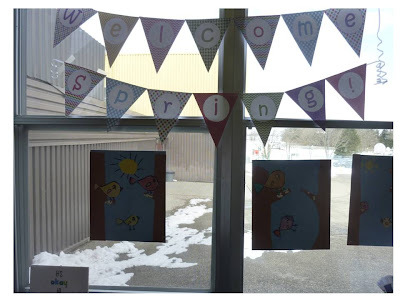 I love the Welcome Peeps decor!! Isn't it funny that kids have no concept of age, even at 10?? So funny! The bird art is adorable. I didn't know you used my clipart? That's sooo cool! I love those birdies. 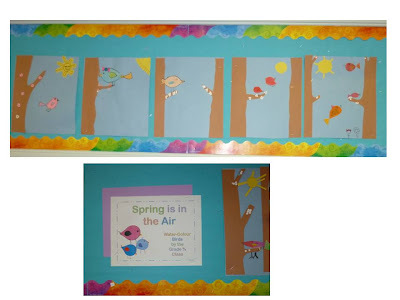 My classroom is decorated in birdies. You have some great windows in your room!